Yogi, Mystic & Founder of Isha Foundation Sadhguru’s inclusive vision for human wellbeing, spurred him to establish the Isha Foundation, a public service organization. Started 30 years ago, and run by over 2 million volunteers today, Isha has grown from its grassroots origins in southern India to a global presence with centers in over 150 cities worldwide. 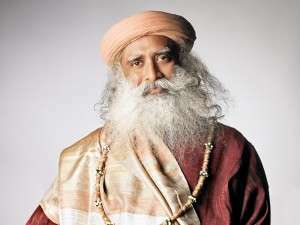 Through life-transforming yoga programs and meticulously crafted social, health, and environmental initiatives, Sadhguru’s widespread impact earned him a place among India’s 50 Most Influential People (India Today, 2011). Sadhguru’s mastery of the yogic sciences enables him to customize methods offered in Isha Yoga programs for each individual who participates, with the aim to make life effortless and joyful. Research studies done on practitioners of Inner Engineering, Isha’s flagship yoga program, have shown significant health benefits including relief from chronic ailments like asthma, blood pressure, and diabetes. In addition, studies suggest that participants have enhanced capabilities in learning, creativity and intellectual sharpness.